Are you suffering from a Neurological condition? Come see us at the Neurological Center of Northern Virginia where we use advanced diagnostics and treatments that can truly make a difference. The specific causes of neurological problems vary, but can include genetic disorders, congenital abnormalities or disorders, infections, lifestyle or environmental health problems including malnutrition, and brain injury, spinal cord injury or nerve injury. 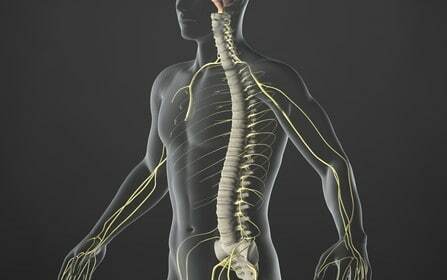 The problem may start in another body system that interacts with the nervous system. For example, cerebrovascular disorders involve brain injury due to problems with the blood vessels (cardiovascular system) supplying the brain; autoimmune disorders involve damage caused by the body’s own immune system; lysosomal storage diseases such as Niemann-Pick disease can lead to neurological deterioration. In a substantial minority of cases of neurological symptoms, no neural cause can be identified using current testing procedures, and such “idiopathic” conditions can invite different theories about what is occurring. This is why it is important to consult with an experienced Neurologist. Dr. Oraee has been successfully treating such conditions and can provide you with proper diagnostics and treatment options. Stop living with the pain you’re in. Schedule an appointment today!